This photo landed in my inbox today from a friend who took advantage of the nice weather. You can see the leaves starting to change color on a day when the high temp was in the 80s. 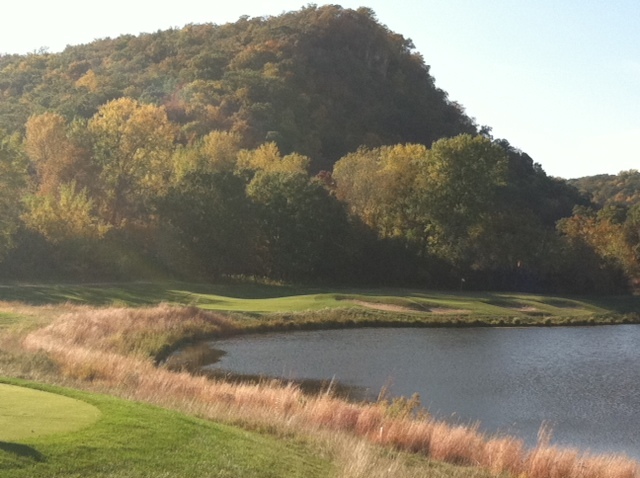 So can you name the hole? And, yes, it is in Minnesota. Looks like a deep back pin that might be a little tough to get to for my right-to-left ball flight. No. 11 at the Jewel. Mid-iron par-3. A course with a whole bunch of good holes — though it fails the Walk in the Park test.